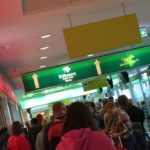 "the worst travel experience in Europe"
Not Verified | The departure was quite an experience, especially at the gates. There were not enough places to sit, but that problem was quickly 'fixed'. We were invited to board and then we queued for another 40 minutes at the exit door, this time separated by a fence from all the other travelers, with no access to bathrooms or to shops. Overall, I will rate this as the worst travel experience in Europe. "won't be departing through this airport again"
✅ Trip Verified | Arrival - Good, after landing buses were sent quickly and took us straight to Passport Control as I was arriving from outside the Schegen Zone. Passport control was quick and easy with 3 officers on duty for 'All Passports' and 1 officer for 'EU/EEA Citizens' as well as E-Gates avaliable to EU Citizens. Was through the process in a matter of minutes leaving me wondering why all the bad press about this airport. Departure - The Soviet Union is alive and well! The depature process made this airport the 2nd worst I ever encountered. The unclear signage, the lack of english spoken, lack of seating areas as well as the general depressing architecture all made for a Gulag'ish experience. Whoever designed the Burger King seating surely will have a special place in hell and who's smart idea was it to not have charging facilities after passport control in the days of electronic boarding passes? The only joys here were seating after passport control and the friendly immigration officer who processed me out of the country. To conclude, sure I may return to Berlin. But I won't be departing through this airport again, prehaps I will try Tegel? Not Verified | Very uncomfortable airport! 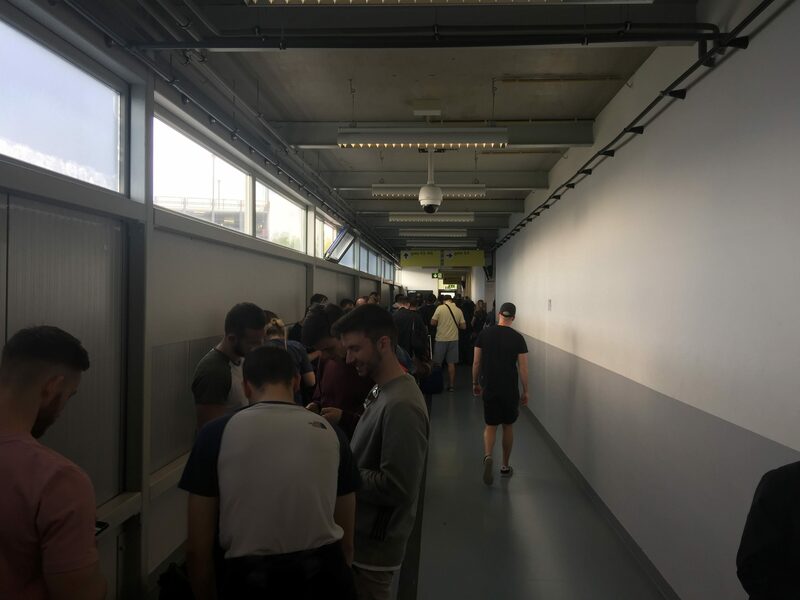 You need to stay in a big queue at your gate and wait in a very narrow corridor without any chairs because passport control is there and they are starting to check passports almost when boarding time is closing. Of course they have chairs in the gate room but you’ll arrive there after check and actually you don’t need them because you don’t have time left for that. Why? 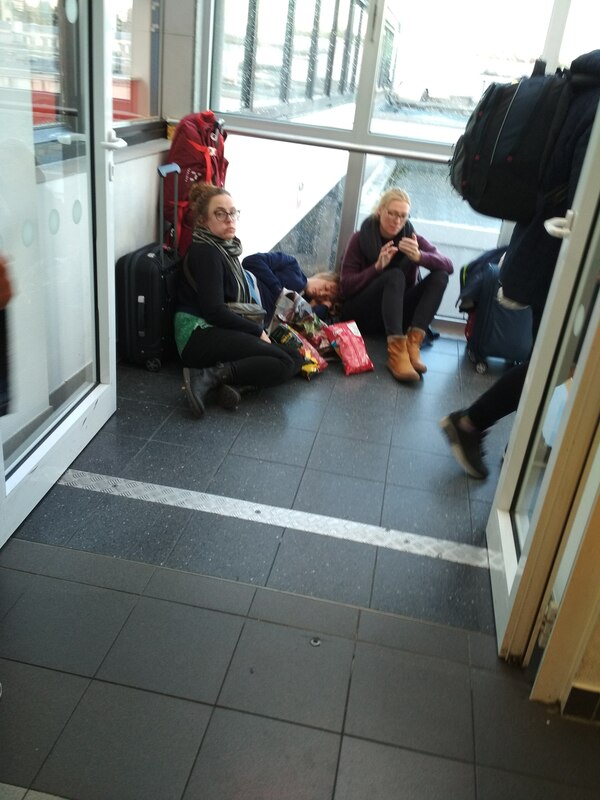 Also you’re staying in the corridor with bags and also kids are starting to cry + what about people with disabilities? First time see this logic here at Schonefeld. Very unpleasant experience. Not Verified | Absolutely atrocious airport. Long security lines, unfriendly staff, poorly organised terminals. So unlike the organisation in the rest of the city - the airport is uncomfortable and a highly stressful experience. We arrived 2.5 hours before our flight and barely had a chance to go to the loo before the flight due to the chaos in the airport. "very filthy and smelly bathroom"
✅ Trip Verified | Awful airport. As soon as I arrived at the airport, I entered a very filthy and smelly bathroom. The design of the airport is very confusing in particular with regard to terminal D, which is separated from the rest of the airport. Terrible experience and not to recommend! Wi-Fi does not work. Not Verified | Utterly awful in terms of immigration efficiency. I never review this kind of thing, but I've had plenty of time waiting in line. I can tell from the other reviews that this feedback is unlikely to be taken on board. Clearer queing lines required, more than 1-2 people working the desks, more organisation to avoid people pushing and shoving. 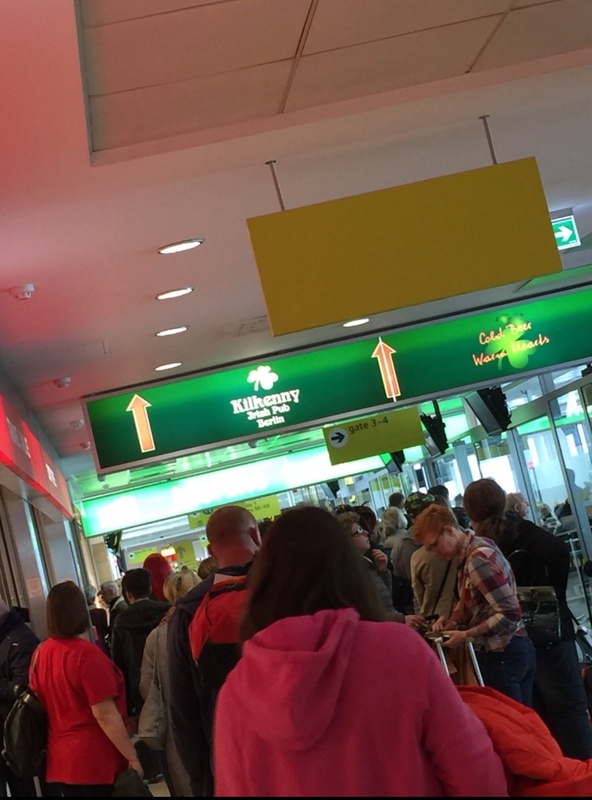 "So much for German efficiency"
✅ Trip Verified | Still queueing at immigration. Been an hour. Incompetent policemen who couldn't care less behind the few counters that are manned. Terrible. So much for German efficiency. 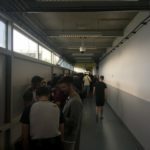 Not Verified | An appalling airport, (second only to Corfu) in maximum disruption caused by poor seating, poor lighting, poor cleanliness and poor everything! When two Easyjet flights for the UK were called at the same time, you'd have thought that there would have been room for the people to queue separately, but no, both flights were trying to queue in the same narrow corridor, (which is a terrible safety / fire risk, ) and then when we got to the room to await our flight there were only about 70 seats for the whole (full) flight) This is a terrible airport and not something that reflects the beautiful and exceptional capitol city of Berlin, I would NOT recommend this airport to anyone, fly somewhere near and get the train instead!! I wouldn't even give this airport 1/10 but the site won't let me choose zero. "This airport is really bad"
Not Verified | This airport is really bad. We went from Berlin to Amsterdam, this took much longer than it should. The lanes for the gates are very long and we didn’t have anywhere to sit down. The airport itself is very small so there are not many places to sit down and wait until you can board. We also had to take the bus, this was overfull and we waited for a long time. We had to check in our cabin bags so we had to wait when we landed until we could get our bags.